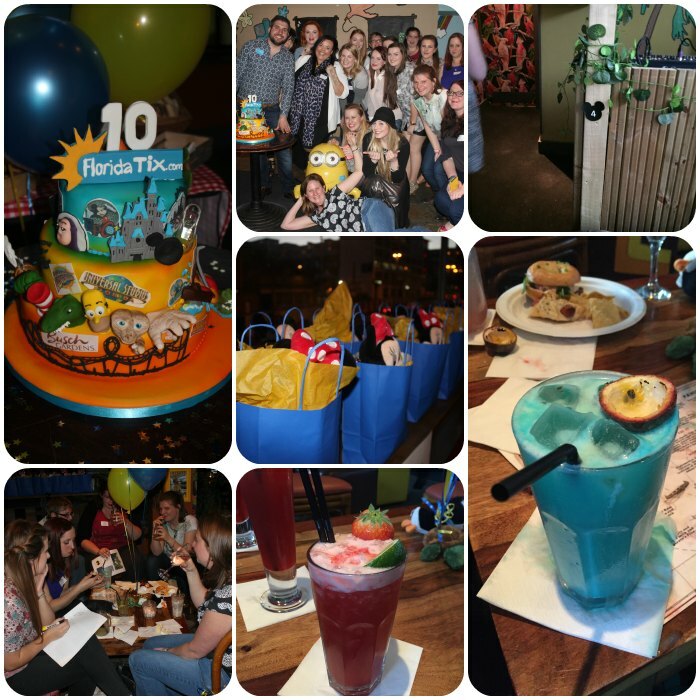 On Wednesday night I was invited to attend the 10th birthday celebrations of FloridaTix at The Island Bar in Birmingham City Centre. FloridaTix are a Birmingham based company who have been selling tickets to all the theme parks and attractions in Orlando for the past 10 years, in fact when honeymooned in Orlando in 2006 and when we went back again the following year for our 1st Wedding Anniversary we brought all our attraction tickets and experiences through them. I had a fantastic time celebrating with not only the FloridaTix team but also some fantastic local bloggers including Pinkoddy and Zoe Corkhill. The night consisted of drinking cocktails, taking selfies, looking for hidden mickey’s, finding out more about the Orlando parks and attractions and taking part in a fun quiz about Orlando, the parks and also Disney and Universal movies. I have to admit the cocktails were very nice and my head was feeling a little delicate on Thursday morning.